This wonderful skincare set from Elizabeth Arden contains 6 travel size skincare products. Elizabeth Arden Eight Hour Must Have Travel Essentials Set. Elizabeth Arden Eight Hour Cream Skin Protectant The Original 50ml. 150ml EACH. both are full size products. Defies seven signs of ageing for younger, healthier looking skin. 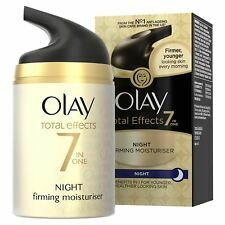 The Science of Olay. Olay has been a pioneer for decades. It's advanced anti-ageing technologies are designed and inspired by the latest research in skin care science. 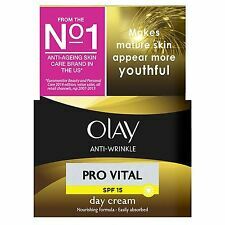 SPF15 to help prevent age spots. Visible reduction of even deep wrinkles. A new generation of mist that instantly refreshes skin and protects it from daily aggressions: UV Pollution and oxidation. Anti-UV and SPF 30 protection. Anti Ageing. Fights against 5 sings of ageing Vita Liberata. Huge Product Range. City Color. We have over 10 years of experience in the Health & Beauty category. All our products are sourced either directly from the manufacturers or reputable distributors. Results: Leaves skin hydrated, smooth and even in tone. Proven Formula - effective in 4 weeks. 3 x 50ml each = 150ml total. Clinically proven to even out skin tone, reduce dark spots and discoloration for a brighter, more radiant complexion. 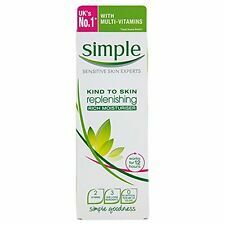 ---Healthy looking skin in 5 days UK/IE claim: Healthy looking skin day by day ---Daily moisturiser with mandarin extract and natural light reflecting particles for an instant radiant glow ---SolaSheerTM UVA/UVB protection with SPF15 ---Skin pampering nourishing vitamins (B3, E and Pro-V B5) ---25 hour moisture that hydrates seven layers deep An instant radiant glow, come rain or shine. 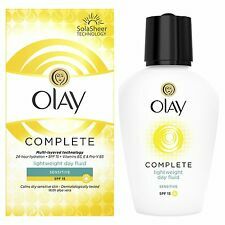 Olay complete radianceilluminator moisturising lotion for normal to dry skin combines the long lasting moisturisation you love plus mandarin extract and natural light reflecting particles for an instant radiant glow. It will make you look rested and refreshed, fresher and brighter with up to 70 per cent visibly radiant skin after your first application (versus bare skin). Indications for the use of Dermosan cream Dermosan is a cream with vitamin A and E for face and body skin care. Dermosan cream does not contain parabens and phenoxyethanol. Wskazania do stosowania kremu Dermosan. 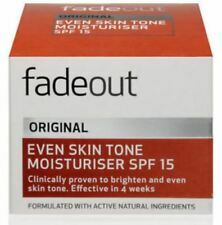 Protects against sun and dry skin. Dermosan N R contains vitamins A and E, which regenerate the epidermis, giving it smoothness and elasticity. Dermosan 40g. Directions for use: use in the morning and / or evening. Get tinted coverage and high-tech, dermatological care with the Bioderma Sensibio AR BB Cream, a multi-action skincare and make-up hybrid for a perfected complexion. The Sensibio AR BB Cream provides light coverage that blends easily, cleverly disguising all signs of redness without masking the skin entirely. SolaSheerTM UVA/UVB protection with SPF15. Eucerin Dry Skin Relief Face Cream 5% Urea - 50ml. Apply Eucerin Dry Skin Relief Face Cream in the morning after cleansing. Its light, non-greasy formula is suitable for use under make-up. It is also suitable for use after shaving. Key ingredients: vitamin E, vitamin A, provitamin B5 (d-panthenol), goat's milk complex, UVA/UVB organic filters. Skin: dry,prone to wrinkles. stimulating the natural process of skin renewal visibly reduce fine wrinkles. Results: Leaves skin hydrated, smooth and even in tone. Proven Formula - effective in 4 weeks. Clinically proven to even out skin tone, reduce dark spots and discoloration for a brighter, more radiant complexion. PRISM NOURISHING FACIAL BALM. VITAMIN E OIL. COMBINING THE BEST NATURAL, 100% ORGANIC INGREDIENTS FOR OPTIMAL SKIN CARE - 50ML. Limited shelf life due to no chemical additives. FREE OF TOXINS AND HARMFUL CHEMICALS. 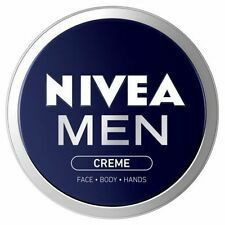 Nivea Men Active Energy Skin Revitaliser Face Cream 50ml - X1. Condition is New. Dispatched with Royal Mail 1st Class Letter. 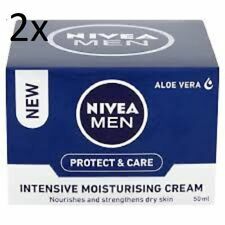 Other quantities can be purchased packs of upto x25. Please DM for more details. NEW!! 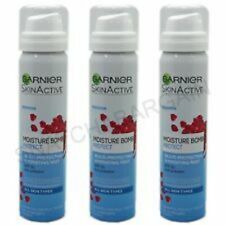 2 x Garnier Moisture Bomb Multi Protecting Hydrating Mist SPF30 75ml An on-the-go hydrating mist that can be sprayed over make up to refresh and protect your skin against external aggressors that dehydrate your skin each day. Will be securely packaged and posted within 24 hours of payment (including weekends). FREE postage to UK mainland addresses. Buy with confidence - TRUSTED UK SELLER WITH 100% FEEDBACK. Please feel free to ask any questions and thanks for watching. Eucerin Replenishing Face Cream - 50ml. The light formula is non-greasy, non-sticky and absorbs quickly. Suitable for face, body & hands - anywhere your skin needs it. IT FEELS GOOD ON YOUR SKIN SO YOU FEEL GOOD IN YOUR SKIN. FACE - BODY - HANDS. Dermosan 40g. Nourishes and strengthens the weakened skin, inhibits the drying process, protects against wind and frost, perfect for winter. DERMOSAN® N R contains vitamins A and E that effectively regenerate the epidermis, giving it smoothness and elasticity, as well as UVA and UVB sunscreens that protect the skin from scalding and excessive dryness. This resulted in a small amount of condensation forming on the top of the product as the product cooled down. We have removed this condensate by pumping it out with a small amount of lotion – less than 1g has been pumped out. Elizabeth Arden. 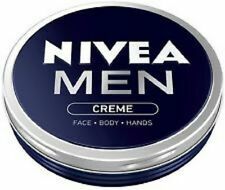 Eight Hour Cream. Use with Eight Hour Cream Skin Protectant for optimum heal and protect results. Quick-absorbing formula smoothes and softens rough, weather-exposed skin with soothing emollients. The anti-ageing formula softens the appearance of fine lines and wrinkles for smooth, fresh looking skin. Light, non-greasy formula with a fresh scent, smoothes evenly onto the skin. Condition is New a nd s ea le d. Daily hydration protection. Visibly fresh looking & glowing skin. - The lightweight lotion feels weightless on skin, instantly absorbing to leave skin feeling intensively quenched, and hydrated for 24 hours. 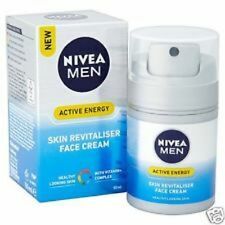 No7 Men Energising Moisturiser 50 ml Daily Care Sensitive SPF15. Condition is New. Dispatched with Royal Mail 2nd Class. Hyaluronic Acid provides instant relief of skin dehydration. DEBA-BEAUTY Face Cream Almond Deeply Nourishing Softening Cream All Skin 50 ml. DEBA-BEAUTY Face Cream Cucumber Toning And Moisturizing The Skin 50 ml.